Why should you use coffee as a scrub? I love coffee. While as shocking s this might be coming from a person living really in the North (yes, we got white nights and warm summers but also extremely cold winters with no sun), it's probably something most people all over the world can relate to. Less so if they drink tea. And there we go - I finally have an argument that could actually make tea-drinkers go for some coffee. You can use it as a body scrub! Exfoliates and hydrates the skin – Do you have dry skin? Does your skin feel and look unremarkable due to stress? Good thing the coffee body scrub is here to fix your problems. An accompanying research shows that coffee exfoliates the skin and keeps it hydrated. As a result, you will always feel fresh and clean. Tightens skin – Sometimes, having a clean and hydrated skin are not enough. There are instances where the skin becomes saggy like it would pop out. One classic example is the eye bag. Bloggers and enthusiasts have tried and proven that putting coffee body scrub under and around the eyes can reduce the puffiness and swelling caused by crying or lack of sleep. Detoxifies skin and promotes growth – Coffee is also a known antioxidant, and it brings that quality into play during contact with the surface of your skin. It takes away impurities from the top layer of the skin, and prevents free radicals from being produced in that particular area. In addition, coffee beans can also promote new skin to grow, resulting in a younger and healthier skin. Moreover, coffee can also promote blood circulation in your skin. Relaxes and soothes the skin – Do you often book a vacation getaway just to relax and get away from all the stress at work? If you want to be relaxed, you do not have to spend too much. Just look for a decent brand of coffee body scrub and you can enjoy the moment without breaking the bank. One of the most important factors why coffee is so relaxing is its scent. Just smelling a hint of coffee in your scent can already make you feel relaxed. The first thing to know before using coffee scrubs is how they work. Mostly known for battling cellulite, coffee scrubs are so effective because of coffee’s diuretic properties. Essentially, coffee itself is a diuretic which works by dehydrating skin and fat cells in the body. That may seem a bit scary – and maybe a bit unhealthy? – but in truth, it’s good news for those looking to tighten and tone their skin. As coffee in your scrub works by drawing fluid away from the cells, the cells subsequently shrink in size and what results is a tighter, more toned complexion. It’s the secret to a powerful ingredient for toning your complexion and creating a smoother, more even tone to your skin. Coffee also packs a stellar punch of antioxidants that help brighten the skin; just another added benefit. Unlike many other common exfoliating ingredients – like sugars, sands, and even nutshells – coffee doesn’t tear away the delicate cells on the surface of your skin. It instead delivers antioxidants and nutrients to the skin, along with a dose of caffeine, to help scrub away dirt, oil, bacteria and dead skin cells. And in case you were wondering why that’s a good thing – and why it should be incentive enough for you to use one – the build up of dead skills inhibits the growth of new ones, which could be why you can’t seem to get rid of minor scarring, dullness, or fine lines. New skin cells do, after all, play a role in keeping our skin looking youthful, plump and line-free. You can easily make your own coffee scrub at home, and those available to you from brands often function as more cost-effective, less-abrasive solutions to those hella expensive scrubs filled with chemicals and weird, artificial additives. For example, this August we got a coffee scrub by the Coffee Scrub Company to try out in our Out’n’Proud pack – if you hurry up, you might still make it to this round! It has peppermint in it too! 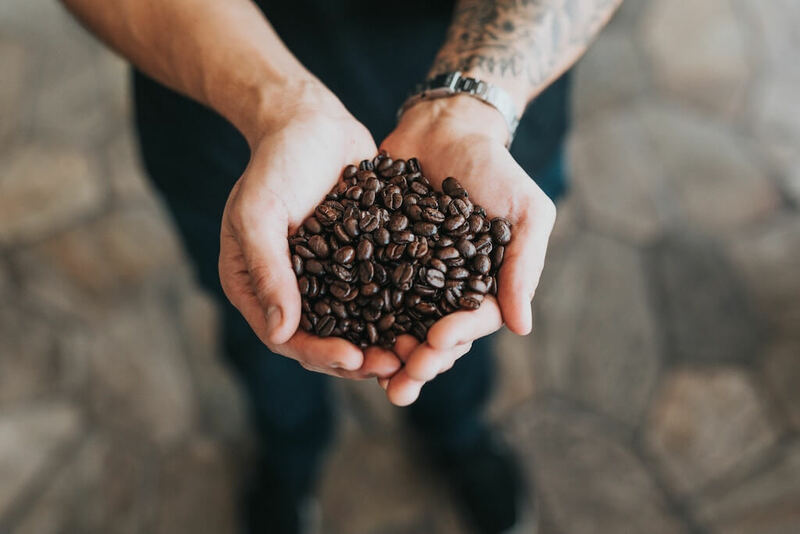 If you’re stumped when it comes to finding the right coffee scrub, the first “rule of thumb” is that you should always avoid those which contain artificial fragrances, dyes or synthetic ingredients. Application wise, the best way to reap the most reward for your skin from your coffee scrub is to take a small scoop, mix it with a little bit of water (most are not moist enough on their own) and massage the scrub into your skin gently using upward circular motions. You do not need to scrub away at your skin like you’re scrubbing grime from floor tiles, because the ground coffee will do the tough work for you. You can leave the scrub on your face for a few minutes after massaging it in, or simply rinse it off with water or a washcloth. It might look like a war zone there but don’t worry – it’s all worth it! Hot tip: use a coffee scrub in the morning when washing your face or showering to wake up the sense and give yourself a wakeup call. You can also use coffee scrubs on your hair at the roots to scrub away product buildup and dead skin cells on the scalp. 1 cup of warm coffee grounds, a half cup of sea salt and two tablespoons olive oil. Lay newspapers (or an old towel) down on your bathroom floor. Stir all ingredients together and apply the mixture to dry skin. Brush thoroughly onto skin, giving extra attention to your elbows, feet, and other extra dry areas. Leave on for about two minutes. Brush off as much of the mixture as possible before hopping in the shower. Alternatively, you can apply and wash off in the shower, but cover the drain with mesh to avoid clogging the drain. Want to get a Gay Pack – your monthly delivery of designer underwear & grooming product samples to try out? 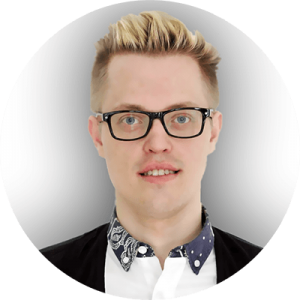 Jarmo's one of the Founders of Next Gay Thing and also been writing since he saw a typewriter. Which was much longer ago than he'd care to remember. Next Gay Thing is here to make sure a gay man never has to suffer through using a straight man product ever again. You are fabulous and you should never forget it. And you deserve at least one treat every month. Enter your email & full name below and spin the wheel to see if you're our next lucky winner!